Azelastine Hydrochloride Ophthalmic Solution 0.05% is indicated for the treatment of itching of the eye associated with allergic conjunctivitis. Alembic Pharmaceuticals Limited announced that the company has received approval from the US Food & Drug Administration (USFDA) for its Abbreviated New Drug Application (ANDA) Azelastine Hydrochloride Ophthalmic Solution, 0.05%. The approved ANDA is therapeutically equivalent to the reference listed drug (RLD), Optivar Ophthalmic Solution, 0.05%, of Mylan Specialty L.P. (Mylan). Azelastine Hydrochloride Ophthalmic Solution 0.05% is indicated for the treatment of itching of the eye associated with allergic conjunctivitis. 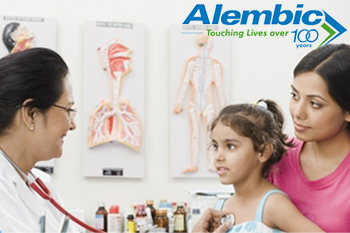 Alembic Pharmaceuticals Ltd is currently trading at Rs537 down by Rs2.95 or 0.55% from its previous closing of Rs539.95 on the BSE. The scrip opened at Rs537.30 and has touched a high and low of Rs539.80 and Rs537 respectively. So far 6,813 (NSE+BSE) shares were traded on the counter. The current market cap of the company is Rs10,178.06cr.